The other night, my wife and I are watching The Namesake (2006) with my mother. The movie is a beautiful story the chronicles the life of an Indian family that comes over to the United States and stars Irrfan Khan, Tabu and Kal Penn ("House"). My mom comments after the movie how the character played by Irrfan Khan looks familiar to her. I joke, "maybe he was in Slumdog Millionaire," knowing she had recently seen the movie and also knowing that like most Americans (myself included) probably has limited exposure to Indian actors and actresses. 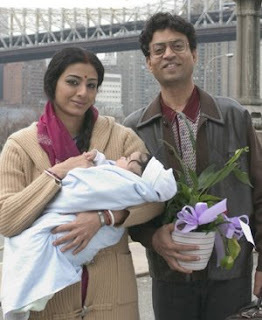 By the time my wife and I came home, I had an e-mail from my mom...yes, Irrfan Khan was in Slumdog Millionaire. It was somewhat comical because when I said it was just joking. And it was from there, that I realized I too recognized Irrfan Khan and could place him in other English language films namely The Darjeeling Limited and the film A Mighty Heart. Khan has an extensive Hindi language filmography that developed in the 1990s forward. Only rarely does the filmography dip into the English language. Titles of roles, like that in Slumdog and A Mighty Heart, seem to frequently carry titles like Inspector or Captain. Now that I have identified Irrfan Khan as an actor (and one of the cast members who has just landed a SAG award as a member of the award winning ensemble), I'm interested to see how Khan's filmography develops and if we'll see him in any prominent roles in future English language films. The Nederlander Organization is an important organization to the Broadway world for their ownership and production assistance in various productions since it was founded in 1912. They've had a respectable role in producing and booking such shows as Wicked, Hairspray, Rent, The Lion King, Chicago, and Sunset Boulevard...to name a few. Honestly, I'm surprised Jerry Bruckheimer didn't think of it first. Released in 1982 Michael Jackson's Thriller album became a year after it was released the top selling album of all time, and it remains the best selling album today. The release of 'Thriller' as a single occured well over a year after the 1982 CD was released. Shortly after the popular music video premiered on MTV in December of 1983. 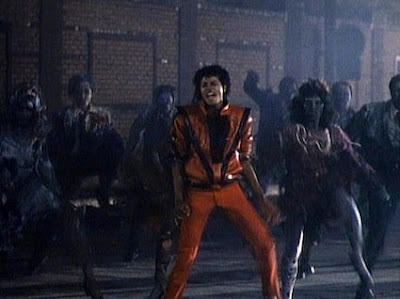 The album version of 'Thriller' was just under 6 minutes long, but the full music video version directed by John Landis last almost 14 minutes. The very successful music video, I'm sure you remember tells the story of a Michael Jackson proposing to his girlfriend (Ola Rey) in the forest and then confessing that he is a werewolf...but then you realize it's really just a movie in a theater, where Michael Jackson and his girlfriend are watching the story. Jackson's girlfriend gets scared, rushes out of the theater, but then they find themselves in a grave yard where Michael Jackson starts dancing with Zombies. And the poor girl friend gets chased around a grave yard and abandoned house, before waking up and realizing it was all a dream...and Michael asks her "What's the problem?" and reveals scary werewolf eyes. I commend the Nederlander Organization for trying to capture some 80s pop-culture in hope of perhaps picking up more theater patrons. I wonder if other Zombie/Vampire film success stories, including this Twilight might also inspire this? Does interest in this project show that people have forgotten how weird and creepy Michael Jackson was in Martin Bashir's documentary "Living With Michael Jackson" from 2003. How in the world are they going to stretch out this story into a full length musical? Will they include other Jackson songs, or right new ones? Director John Landis has already sued Jackson over royalties associated with the video, will this tie things up or stop the musical from even happening? Vincent Price's role and voice work seems to have added so much to the original music video, will they use his previous recorded voice work or will they cast the role of Vincent Price? Speaking of casting, who will play Michael Jackson? Can a Broadway musical version of Thriller win any Tony awards? I have mixed feelings between thinking this is totally weird and also thinking 'why not' at the same time. Many people had assumed that this song was a shoe-in, not just for the nomination but for the win as well. 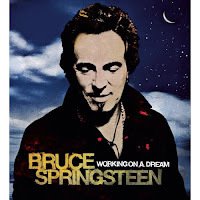 For those of you who are Bruce Springsteen or huge fans of Darren Aronofsky's film The Wrestler, a great way to show your love is purchasing Bruce Springsteen's newest CD "Working on a Dream"which comes out on January 27th, 2009. Bruce Springsteen's been making music for over 30 years, and I've listened to Springsteen's newest CD this week. This is 24th album, this album again reunites Springsteen's classic rock vocals with the E Street Band. My overwhelming reaction to this CD is general awe and very impressed with the variety, vocal sounds, and overall quality in the album. Probably the most unique and worth talking about album on the CD is his first track Outlaw Pete which has a very unique sound, and tells the wild west ballade, with an eight minute run time. As Rolling Stones stated..."It’s safe to assume Springsteen will not be performing “Outlaw Pete” at this year’s Super Bowl halftime show." Outlaw's Pete is a track that has really grown on me, and certainly is not exaust it's eight-minute run time. In fact, my favorite part of the song is about 6 minutes in when the tone and story changes to begins being directed at the love of a Navajo girl cries out, of course Springsteen singing her lament of "Can You Hear Me?" Beyond this song and a few others most the songs are generally generic. 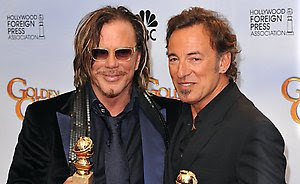 But the fact of the matter is something about the familiarity of Springsteen's voice and sound lends itself to sound like a classic song that has always existed, and perhaps the reason that lyrics like "When the cold wind blows" and "darling we can stop this train" sound like perhaps they were lines Springsteen originally created. In fact, my favorite track on this CD is buried towards the end at track 10 of 13 with the song "Kingdom of Days." This song is certainly not absent of cliche's, in fact it's loaded with them, but again this song, although a new song just released for the first time with this album, sounds like it's been apart of the American music scene for decades. Beyond "Outlaw Pete" the other most notably unique tracks on this album is the song "Good Eye" which has a very Southern Blues sound that sounds like it somehow missed the O Brother Where Art Thou? soundtrack and the song "Queen of the Supermarket." "Queen of the Supermarket" sounds like it should be a song on the TV show Scrubs, or if just a little bit odder, even on a Weird Al Yankovic album. The song truly is about a crush on a supermarket clerk, and the song contains a slew of odd song lines like "A dream awaits in aisle number two" and "With my shopping cart I move through the heart Of a sea of fools." To top it all off, the song ends with the cadence of a grocery store check-out beep repeating into the distance. Overall, "Working on a Dream" is simply a pleasant CD with some great tracks, including the bonus track of "The Wrestler." There might be a few songs that don't make the concert line ups or top 40 stations. And if you pay too much attention to the lyrics you might in time get annoyed by songs like "Surprise, Surprise" which is essentially the first Birthday song I've heard on an album in awhile. You may see Springsteen at this years Academy Awards, but you will see him at the Super Bowl, and you will see his newest album proudly displayed in stores. I love Oscar nomination morning. Because I have to go to work, this morning I'm sitting on the coach with my wife while she's feeding our baby girl. Because various moves over the past couple years I have had to adjust my Oscar morning routine to various time zones...but watching the award nominations announced is a favorite ritual. Today, I'm doing it with my infant daughter and wife. What a treat! Good Morning Sid Ganis and Forest Whitaker. First Thoughts. The nominations begin their announcements, and only some minor surprises...Michael Shannon over Dev Patel in the supporting category. All 4 Doubt performances receive nods. We don't hear Kate Winslet's name in the supporting race (as soon as I heard Amy Adams I didn't think I'd hear Trajni P Henson's...but no double nod for Winslet). But Winslet's lead actress nod is for the Reader which certainly makes this years best actress race (Hathaway, Jolie, Melissa Leo, Streep, Winslet) a very competitive race. When I heard Bolt got an animation nod, I knew there was no Waltz with Bashir animated nod. But when the alphabetical announcements of Best Picture was most surprising when Dark Knight got passed over...at that moment, the only film I could see jumping on the list based off the mornings previous nods was that The Reader would be nominated, especially since Stephen Daldry got nominated for Best Director. Stephen Daldry is now 3 for 3 with the Oscars. I don't know if that's ever been done before...with nominations for his 3 feature length films: Billy Elliot, The Hours, and now The Reader. 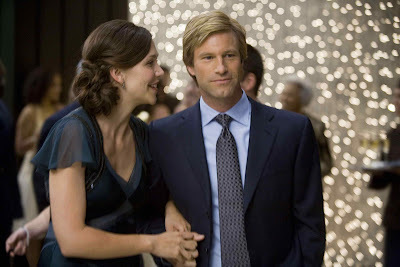 Finally, no Dark Knight love like I might have expected. We'll see once the full list are released what films receive the most noms, and how these films fared in other categories. The first thing I checked out was to check the song category to make sure High School Musical 3 didn't get a song nod. And the fact was that only 3 songs were selected for best original song. "Down to Earth" from Wall-E and 2 Songs from Slumdog Millionaire, "Jai Ho" and "O Saya." Wow, "Wanted" got a couple nominations in the sound editing and mixing categories. And Australia got at least one nod in the costume category. And everytime I look at a list The Curious Case of Benjamin Button is included. I will follow up on my own predictions shortly. Further thoughts (posted later in the day) can be found here. If chocolate chip cookies are cookies made with chocolate chips and peanut butter cookies are cookies made with peanut butter, then what are Girl Scout cookies made of? As a new homeowner, I am placed in the unique position for the first time of having a chubby elementary school girl come to my door pushing cookies. I said no. My wife, had she answered the door, surely would have said yes because she's a much nicer person then me, and she is a former Girl Scout who wouldn't mind getting a box of Thin Mints. Don't get me wrong. I'm not anti-Girl Scout. I'm not even necessarily anti-Girl Scout Cookies...but I think that the Girl Scout Cookie machine is crazy. In the United States there are regulations limiting employment to those under the age of 16, largely to protect against labor abuse. Similarly, there are laws that require minimum wages and taxes to be paid in association with wages. When Girl Scouts began selling their first cookies almost 100 years ago, it is my understanding that it was like a well-organized bake sale, with little girls working with their moms to raise money for their troops and organizations. Today, the Girl Scout Cookie machine is out of control. Cookies sell for $4 a box, but only 40 to 60 cents per box goes to the actual Girl Scout troop. Beyond that about 50% of the purchase price goes to the Girl Scout organization, and the rest goes to the cookie manufacturers. First off, that's a lot of money and profits going to the Girl Scouts organization earned on the backs of little girls going door to door selling cookies, and their parents pushing and coercing co-workers to buy cookies. Second, for such a small percentage of the profits to go to the individual Girl Scout Troop, it almost makes you wonder why so many Girl Scouts and Girl Scout parents feel so compelled and motivated to make sure every person on their street and in their office is receiving 5 boxes of Tagalongs, Thin Mints, and Carmel Delights/Samoas. Third, at $4 a box, the Girl Scouts and the Girl Scout Cookie makers are really ripping people off. The cookies are more expensive then comparable brands...especially for the quantity of cookies you are receiving. And especially if you consider the fact that these cookies are sold with the majority of marketing and labor expensive being absorbed by volunteer children and mothers. These cookies aren't competing on the shelves of local supermarkets and stores, so they don't require the same type of sales. And they also aren't even in production year 'round. So there is significant profits for everyone involved, the least amount of profit going to the individual Girl Scouts and troops. Fourth, for all this hard work, Girl Scouts are getting the lame prizes that are associated with any youth fundraising activity. Cheap stuffed animals, ribbons, trinkets, and the general garbage that is essentially worthless. All for hours of standing at booths in front of grocery stores and fairs, going door to door, and asking their parents to pass the sign up sheet around their offices. Again, I'm not critical of the girl who came to my door. Good for her and for her dedication to her organization and her go-get-'em attitude that puts her in the awkward position of ringing my doorbell to get a pre-order for rip-off cookies. 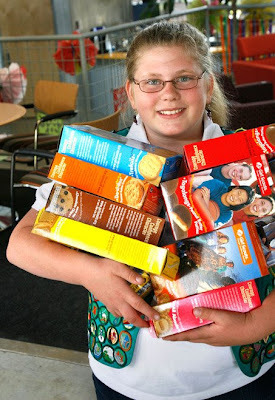 In every town and city across America, there is a girl that is succeeding and breaking cookie sale records. The above picture is of a girl named Samantha Longenecker from Portage, Michigan who is a record breaker 3 years in a row in her area, one year selling 2,000 cookies. Or what about Jasmine Osborn of Marshall, Missouri selling a 1,000 boxes. Or on even a grander scale, the 2008 record holder Jennifer Sharp from Dearborn Michigan who sold 17,328 boxes of Girl Scout Cookies. Last year the cookies were $3.50 a box, so that means Jennifer Sharp alone sold over $61,000 dollars in cookies. This is by no means a small operation. I think that these girls are inspirations for their hard-edged dedication to sales, and that these girls should be snatched up to work for any number of sales and marketing driven businesses, and deserve significant compensation for having such an important American capitalistic skill. Yet it's sad to think how these school-age girls are breaking their backs, putting themselves in dangerous situations by ringing the doorbells of strangers and parading around town selling cookies, when the majority of the fundraiser goes to serve the Girls Scouts of the USA organization (GSUSA), surely providing the funds necessary to provide hefty salaries for their staff. I'm sure the Girls Scouts upper leadership is pushing those Girl Scout Cookie sales harder then anyone else, because they know that's where their paycheck comes from. Do GSUSA leadership like CEO Kathy Cloninger, Executive Vice President Norma I. Barquet, CFO Florence Corsello (who surely tracks those cookie sales very closely), Senior VP Of Funds Development Delphia York Duckens (also watching those cookie sales), Chief Marketing Officer Laurel J. Richie, or any of the rest of the staff feel sorry for these girls who are dedicating so much time and energy to selling cookies for the sole purpose of bolstering exec paychecks, earning a cookie patch for their uniform and a lame prize? 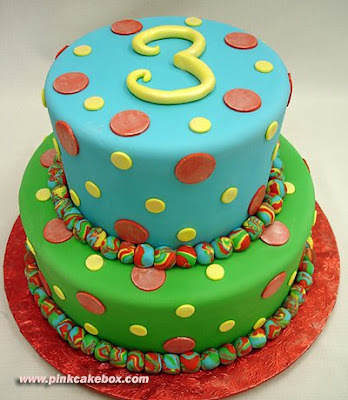 I found this picture of an amazing cake online at the website for a NJ company called The Pink Cake Box and knew it had to be the virtual cake to celebrate my 3rd blogaversary...the first at the link strangecultureblog.com. It's been a unique experience to be a blogger this year as my mostly-film & culture blog has at times become more serious this year. Maybe it's the result of my own life changes of becoming a dad, maybe it's the writer's strike and a year were the bulk of the film season was mediocre, or maybe that some things in news, the economy, and so forth we more interesting and deserved coverage. 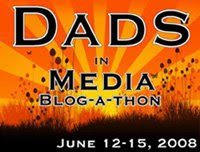 The biggest "events" on strangeculture in my 3rd year were my Dads-in-Media Blog-a-thon which I thought was a great success...occurring just days before the birth of my wife and I's daughter, Linden. During this year, my wife & I have also taken on new jobs, in a new state, purchased a home and had a handful of other meaningful adventures. But that didn't take away from exploring some interesting things, both current and hold. I greatly appreciate the many suggestions and high level of interaction in my 80s movie viewing experiment that began with the question "Where then any good non-quirky 80s movies?" And resulted in a very extensive 16-part series of 80s film viewing. (View the whole series covering all 48 80s films here). I again enjoyed creating the Real (Reel) people series this year, although this years list was far less extensive then 2007, but I certainly am looking for to the 2009 edition in the next couple months. Thank you to all of you for reading, commenting, searching, suggesting, and sharing your thoughts every day! Here's to year StrangeCulture and the start of year 4! Previous blogaversary post: 1st Blogaversary & 2nd Blogaversary. I thought Dev Patel did a great job in his role in Slumdog Millionaire. And as Slumdog Millionaire picked up more steam, people started thinking about how Slumdog could fit into the acting categories. The most logical choice was Dev Patel who plays the oldest of three actors who play the part of Jamal Malick. While Dev Patel is the lead, Dev's name isn't quite as big as the other "standard" names we're used to seeing at the Oscars...film veterans and regulars who make magazine covers. Oscar is very protective of it's lead actor categories and so this years Acting front runners Sean Penn, Frank Langella, Brad Pitt, Mickey Rourke, Clint Eastwood, Leonardo DiCaprio, Richard Jenkins, and so forth. So we see category fraud in the inclusion of Dev Patel as a supporting actor contender in this years film award competitions. Another huge area of category fraud this year is with Kate Winslet. 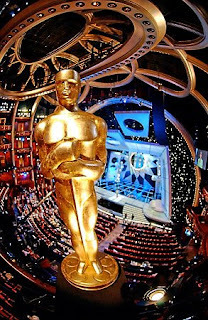 An actor cannot receive a nomination at the Oscars for two films. For the Oscars, in these races you are voting on the person not the role. For example, Leonardo DiCaprio was lead in both the Departed and the Blood Diamond a couple years back and he could only get nominated for one film. This distinction is unique to the acting races. In other categories you are voting on the film, not the person, and so in recent years Steven Soderbergh has received double nominations in the directing category, for example, or Roger Deakins in the cinematography category. As a result of these rules, Kate Winslet's lead role in The Reader has been pushed as a supporting role...this eliminates the campaigns of The Reader and Revolutionary Road clashing, and instead they can both have their cake, and at least when it comes to the globes...they can eat there cake too. I was very pleased today to see the nominations for the BAFTAs (British Academy of Film and Television Arts), because the British Academy, which does allow for multiple nominations of actors in the same catagory, corrected some catagory fraud issues. If you peruse the list you will see Kate Winslet receiving two Best Lead Actress nominations (does that make her the double best!) with nominations for The Reader and Revolutionary Road. Dev Patel is also listed, for the first time this award season in the lead catagory, and of course...moving people around like this makes the list a little different looking with new room made for new actors and actresses...which is fun...I was excited to see Freida Pinto get a nod for her work in Slumdog Millionaire. Here's a list of the main catagories...you will also notice a double nod for Brad Pitt, but in different catagories. In all catagories, Slumdog Millionaire and The Curious Case of Benjamin Button picked up 11 nods, and The Dark Knight picked up 9 (but no best film nod). Image above of Dev Patel and Freida Pinto at Tribeca in Nov 2008 was taken from daylife.